Family fabrics are a range that we are constantly working on. It is important to us that you can enjoy your home and relax. 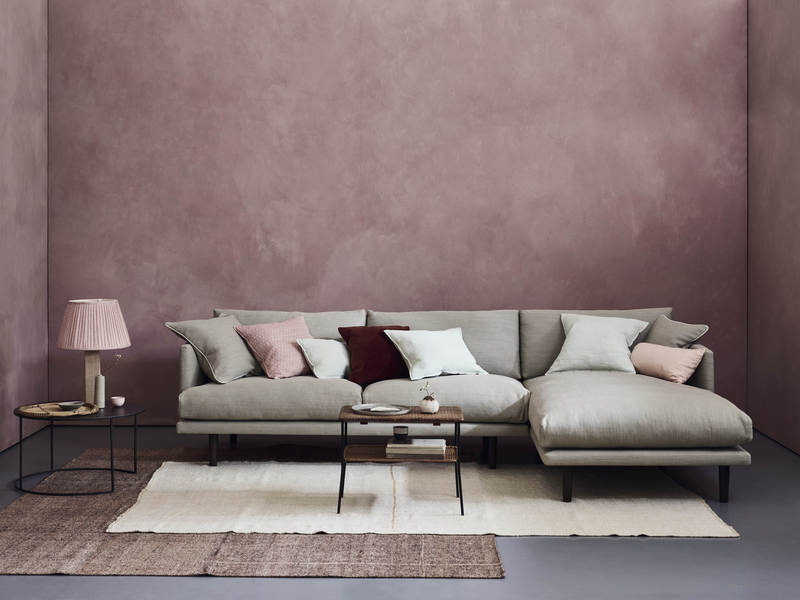 We don’t feel that you should have to compromise, if you want a white linen sofa, you should be able to have it, without the need to banish your pets and family to the garden. 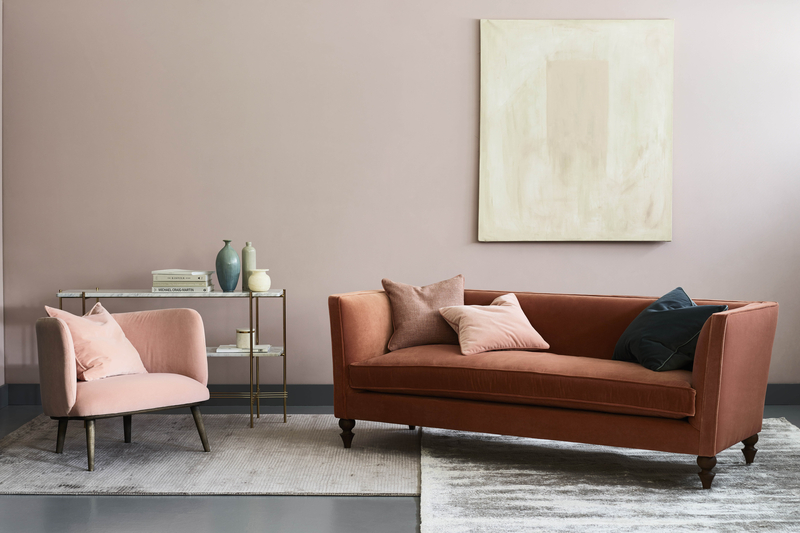 Stain Resistant Velvet on the Odette below has been very successful, with almost 60% of products being ordered from this range. Our existing Stain Resistant Linen is also a popular choice, but we have made it better. Our newest fabric to be added to the Stain Resistant family is the Pure Stain Resistant Linen range. 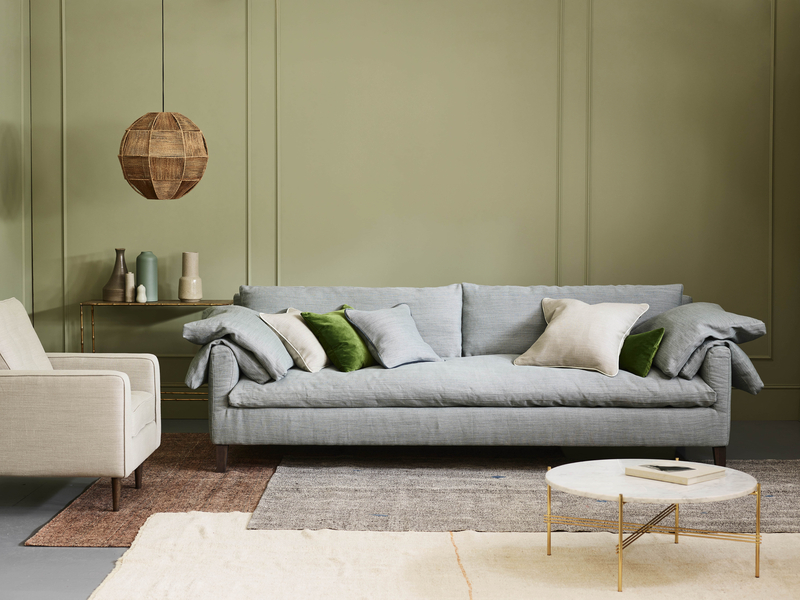 With a subtle slub and natural uneven weave, shown above on the Ottilie chaise in 'Eucalyptus', it is our best yet. Currently available in 4 colours Eucalyptus, Night Blue, Penguin and Sky.